Headlines > EU affairs > Current page:: Portrait of new EP President: who is Martin Schulz? 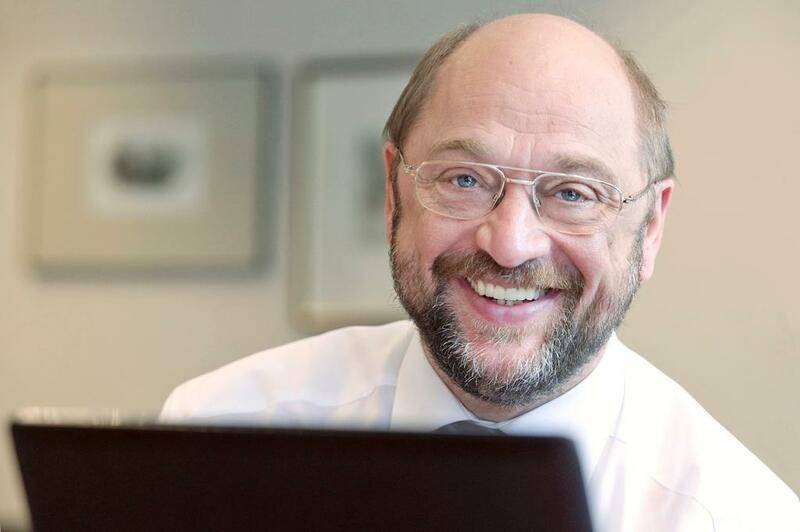 Portrait of new EP President: who is Martin Schulz? Tuesday morning MEPs elected German Social Democrat Martin Schulz as president with 387 votes. He will lead the EP until the next European elections in June 2014. But who is the man behind the politician? Martin Schulz was born 20 December 1955 in Hehlrath - a small German city close to the German-Dutch-Belgian border. After high school he apprenticed as a bookseller and opened his own store in Würselen in 1982, which he ran for 12 years. He began his political career at 19, joining the German Social Democratic Party. At 31 he became the youngest mayor of Germany’s most populous Land, North Rhine-Westphalia, when he was elected mayor of Würselen, a post he held for 11 years. "This time shaped my enthusiasm for Europe and the conviction that I wanted to help build and advance the European project," he says of his time as a local politician. Elected to the EP in 1994, Schulz has served on a number of committees, including the sub-committee on Human Rights and the Civil Liberties Committee. He led the German delegation of the Socialist group (SPD members) from 2000 and was also a vice-chair of the Socialist Group in the EP. He was elected group leader in 2004, a position held until he was elected EP president. Since 2009, Schulz has also acted as representative for European Affairs for Germany’s SPD party and his views have deeply influenced his party’s pro-European politics. He is known as a man of convictions who is not afraid to speak his mind. This once provoked a now famous insult from the former Italian premier Silvio Berlusconi during a plenary session in Strasbourg in 2003. A well known face in European politics, he nevertheless maintains a strong link with his constituency. "For many years, I served as mayor of my town and listening to people's concerns and answering their questions was my daily business. This still remains a very important part of my job," he said. His wife is a gardener and landscape architect and they have two children. His hobbies include reading, history and football – he roots for his local club 1. FC Köln. Among his favourite books is "The Leopard" by Tomasi di Lampedusa and all the books of Eric Hobsbawm.